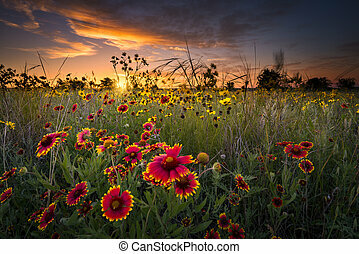 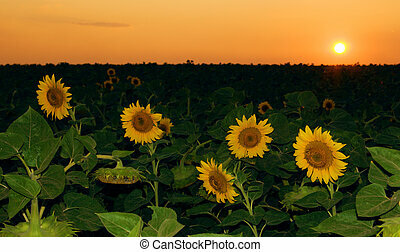 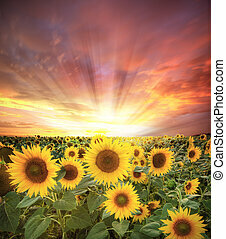 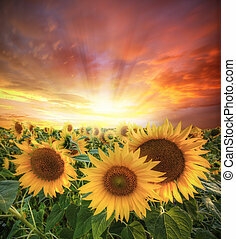 Setting sun over the sunflower field. 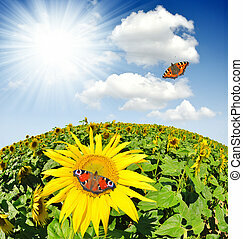 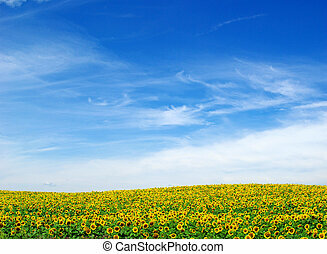 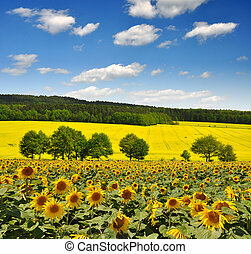 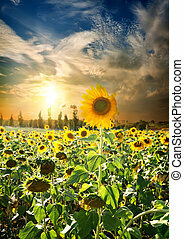 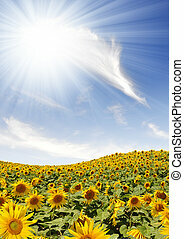 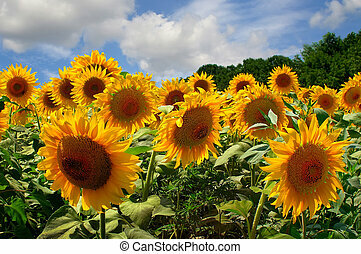 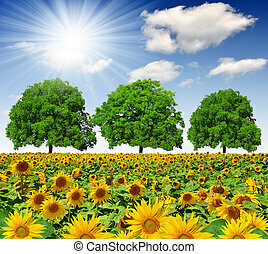 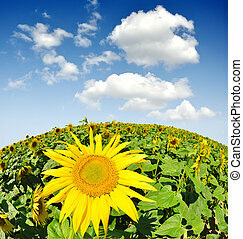 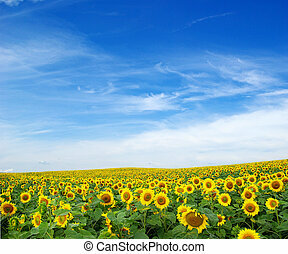 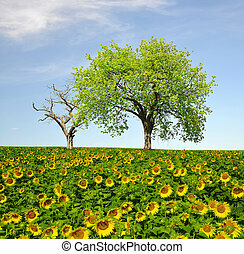 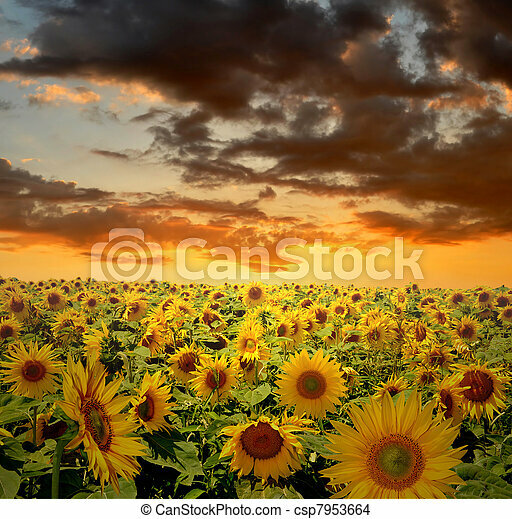 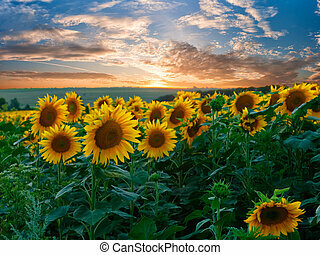 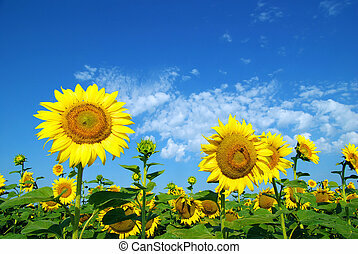 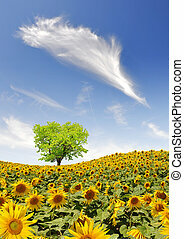 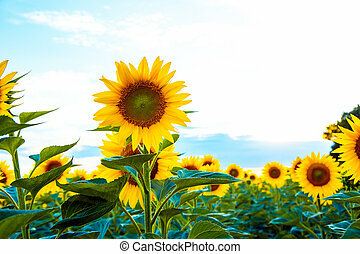 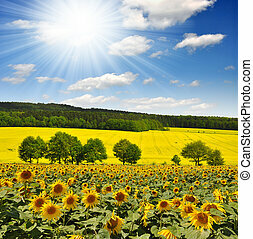 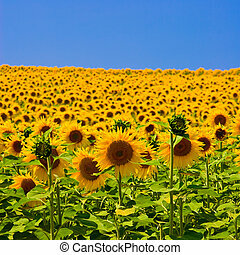 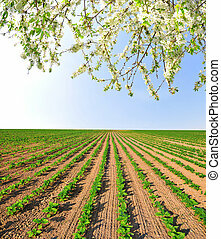 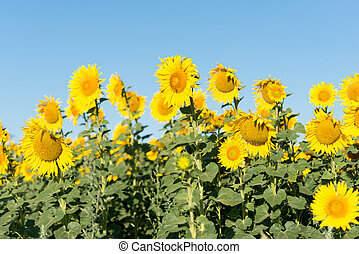 Sunflower field with bright blue sky. 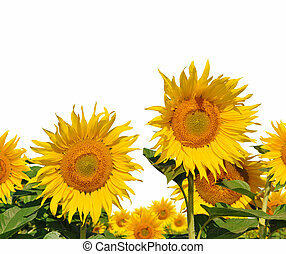 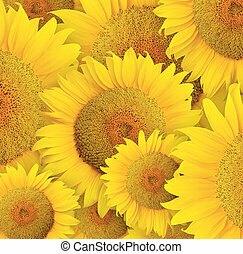 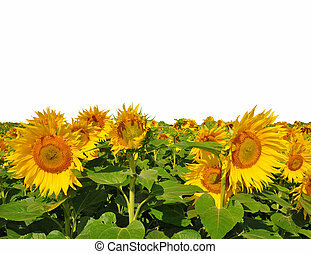 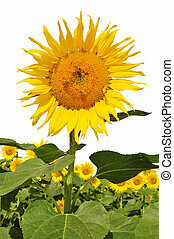 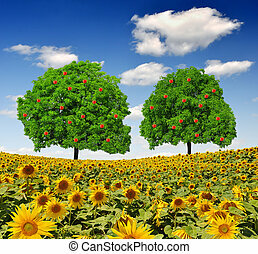 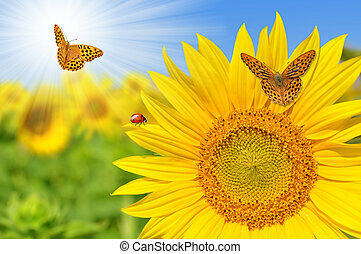 Stylized sunflowers head background for Illustration for design. 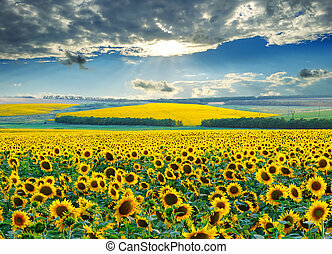 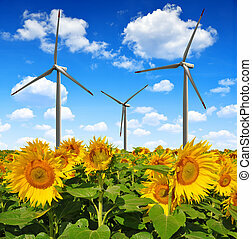 Sunflower field with wind turbines.